For the 1st time ever – trade in your old McIntosh home theater and digital music products and TradeUP to their modern replacements! quick and easy connectivity to a vast library of online music. McIntosh products are not only known for their longevity, but their desirability remains high for generations as evidenced by the astounding resale value of numerous models that have become sought-after collectables. Normally this level of durability is a great thing – except in the case of home theater and digital music products which are full of fast and ever changing technologies. Over the last two decades, thousands of McIntosh home theater and digital music products have been sold, delivering countless hours of enjoyment to their owners. But we recognize that many owners of these products would love to upgrade to our current models but don’t know what to do with their older-generation units that may not command the same resale value as our other two-channel products. Enter our Home Theater TradeUP Program. 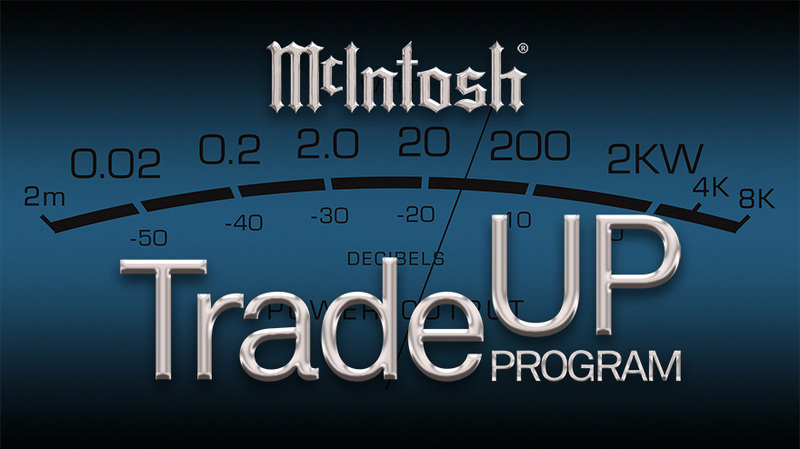 The Home Theater TradeUP Program is a great way for you to upgrade your older qualified McIntosh models to current models without having to pay full price. For each of your qualified McIntosh units, you’ll receive a generous TradeIN allowance good towards the purchase of its modern replacement. Your TradeIN unit does not need to be in working condition nor is original McIntosh packaging required so no worries if that’s been misplaced. 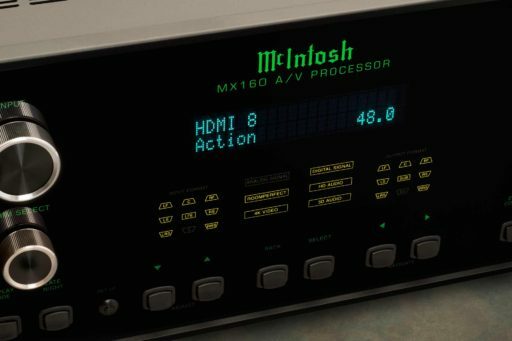 The Home Theater TradeUP Program is limited to select older McIntosh home theater processors, receivers, DVD players and music servers. TradeIN allowance can only be used towards the purchase of select new McIntosh home theater and digital music components. Contact Stereo Barn today to take advantage of this amazing LIMITED TIME offer!